Home Featured News Lara Nosiru’s Suicide: How the 23-Year Old Killed Herself. Lara Nosiru’s Suicide: How the 23-Year Old Killed Herself. The friend of a top university student who jumped to her death from the Clifton Suspension Bridge discussed ways to kill themselves, an inquest heard on Friday. 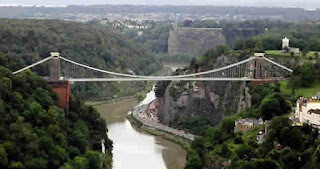 “Extremely bright” Lara Nosiru, 23, had taken a large number of sleeping tablets and some LSD when she jumped off Clifton Suspension Bridge in Bristol, the coroner has concluded. She was a final year student of neuroscience at the Bristol University when the incident happened, reports say and that she went there with fellow Bristol University student, Kasumi Kishi, who told police she had hoped to convince her not to kill herself. Two days later, Ms Kishi told friends over a pizza how she and Ms Nosiru had discussed suicide methods and killing themselves together. Prosecutors examined the case to see if charges of assisting in suicide or manslaughter for gross negligence could be brought against Ms Kishi, but decided there was no case to answer. Fellow flatmate, Alex Gough, claimed Ms Kishi told the group that if someone wanted to die, it was cruel to make them stay alive. Flatmate, Solene Rebibo, said at the meal Ms Kishi ‘seemed comfortable’ talking about suicide to Ms Nosiru’s friends.